Are you involved in planning your high school's junior or senior prom? One of your first major considerations is going to be selecting the venue for your class's promenade. For nearly every junior and senior on Long Island, there's no more important event than prom. While the individual selections of dresses and hair styles will help you stand out in the crowd, the selection of venue is something that all of your classmates need to feel relaxed and enjoy. 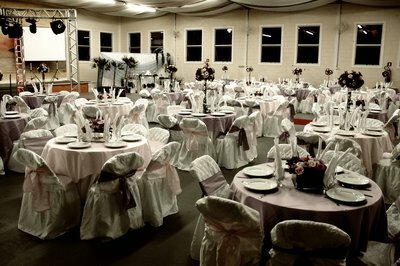 Finding the right venue for your class is crucial to throwing the unforgettable prom. Long Island is home to a handful of beautiful and elegant venues for formal occasions. Check out our listing of venues in Nassau and Suffolk County to find the perfect location to celebrate the culmination of all your years of hard work and study alongside the people who've grown with you. LongIsland.com wants to make your selection of prom venues as easy as possible. Here's a list of highly recommended prom venues. Follow the links below to get more information, including ratings and reviews from satisfied patrons. Lovin' Oven Celebrations is both an off-site caterer and a reception venue in Sayville. East Wind Caterers Inn & Spa offers both a romantic and elegant reception site in Wading River. Stuart Thomas Manor in Farmingdale is a great location for smaller senior class gathering, with four stunning halls that can accommodate 125 people. Ariana Waterfall is a elegant banquet hall that offers all the assistant you need in throwing an unforgettable event. Four Points by Sheraton is a newely renovated state of the art hotel in Plainview that is also in proximity to a number of Long Island's most prominent entertainment and recreational sites. Hofstra University Club offers a beautiful, private campus and a banquet hall with capacity for up to 240 people.